I’ve always wanted to make my own chilli sauce for a long while now but I kept procrastinating. I went into my local store recently and it seems the whole shop was filled with nothing but sweet chilli sauce. The corner shop close to mine wasn’t left out either, they had it on sale. I told myself I am not buying it ever again. Last week I was invited to a birthday dinner and for my starter, I ordered salmon cake and sweet chilli sauce. I instantly got a conviction to make mine. 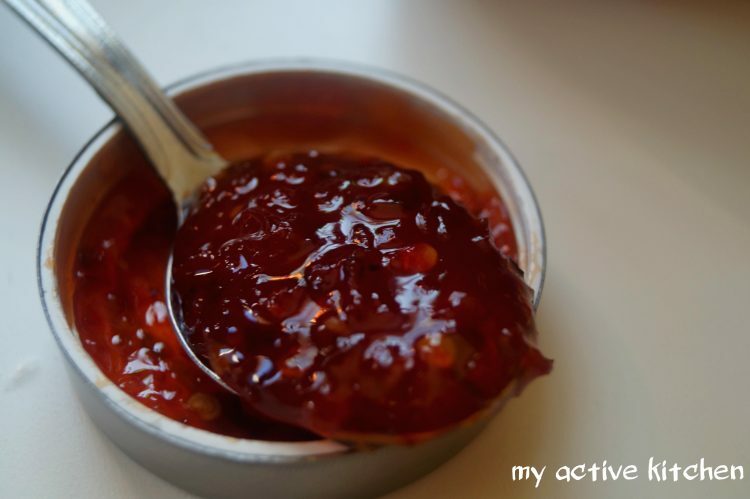 Honestly, have you tried sausage butty with sweet chilli sauce or jalapeno pepper sauce before? I bet you won’t go back to eating your sausage butty with anything else other than this sauce. 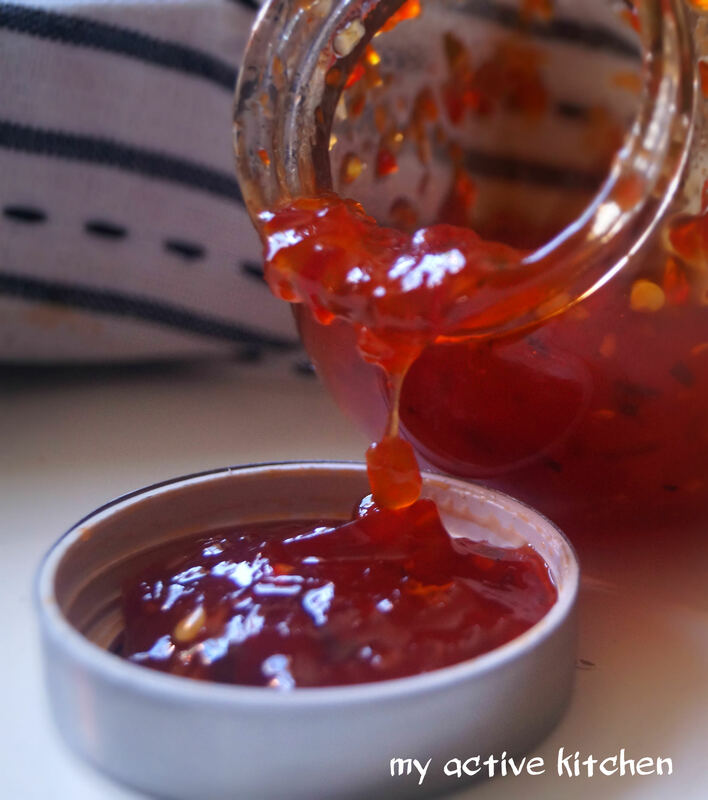 I love this sweet chilli sauce as it is very versatile. 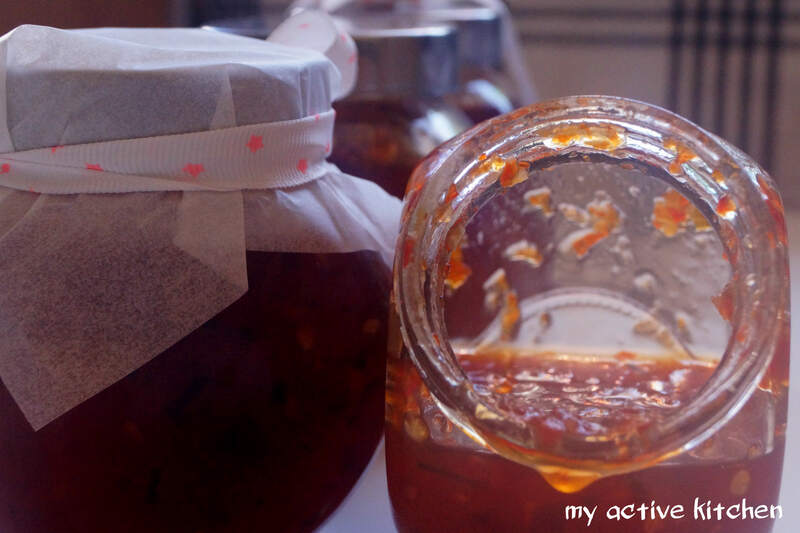 You can eat it with almost everything, if you are making yours, it can be made to your preference. The most interesting part is that it is cheap and very easy to make too. I added chives to this recipe and it is hot just how I prefer it. Add the sugar and keep stirring till the sugar melts and bring to boil for another 30 minutes on low heat. Mix the corn flour with a little bit of water then add the mixture to the boiling chilli sauce and stir for another minute (corn flour mixture is just to thicken the sauce but if needed). Add chopped chives and continue boiling for another 8 minutes. Turn off the heat and leave to cool. Pour into a sterilised jar and its ready for use. Keep refrigerated and consume within 6 weeks. You know I am always available to be your guinea pig, right??! !